It’s great to enjoy the freedom offered by having your own vehicle. It’s not so great to lose that freedom by being stranded at the roadside. So don’t let it happen, don’t waste time wondering why your car broke down, instead, take advantage of our car services in Wyoming, MN, at Swede’s Towing, LLC. We provide 24-hour service because we know emergencies and breakdowns don’t happen on a convenient schedule. That means we are ready for your call night or day, rain or shine. Once you contact us, we immediately dispatch help to provide the service you need as quickly as possible. A lot of times auto repair is not really a major issue, often it’s simply a matter of charging a dead battery, adding gas to an empty tank, or tightening a loose cable. For those times we are just a phone call away for quick support. Of course, there are times when the repair is more extensive, and your car requires time in the shop. 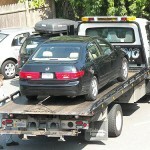 For those times, we are the ones to call as well so we can tow your vehicle to a garage for the work it needs. Our trucks provide safe and effective hauling what will not damage your vehicle. You walk out to your car, truck, van or motorcycle and are confronted by an unpleasant surprise -- a flat tire. After you are done heaving a large sigh and asking “Why me? Why now?” you realize you need to call on a company that specializes in tire changes. Maybe you don’t have the tools or know-how to change it. Maybe the lug nuts are rusted on, and you couldn’t remove them even if you had dynamite. Maybe you can’t afford to get dirty and grimy right now. 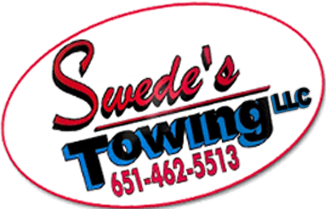 Whatever your reason, Swede’s Towing, LLC is ready to come to your assistance. We’re not quite as fast as a NASCAR pit crew, but our team is pretty quick when it comes to changing a flat. You get back to your way moments after we arrive unless we discover a reason why it’s unsafe for you to continue your journey. Safety is the overriding concern we keep in mind when we help our customers, regardless of the problem or location. 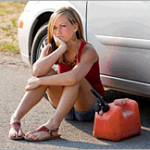 Contact us whenever you are in need of auto repair services or towing. We proudly serve customers in Wyoming, Forest Lake, Chisago City, and Lindstrom, MN, as well as the surrounding areas.